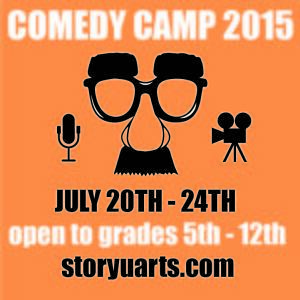 Get ready for Hawaii’s first ever COMEDY CAMP! The BizGym Foundation and StoryU Arts presents 5 afternoons filled with creativity and some major LOLs! There will be a casual show and film festival on the last day of camp. Family, friends and special guests are welcome to join us some laughs! Check out our combo package for both Comedy Camp and Camp BizGym – a business camp for young entrepreneurs!